Elections were originally scheduled for November 7 then were rescheduled for December 7, apparently parliament rejected the Nov 7 date. Why did they reject this date? The Constitutional Amendment Bill to change the voting date from December 7th to November 7th was rejected by parliament of Ghana due to time constraint and not necessarily a disapproval of parliament. For many Parliamentarians and key electoral law experts, the bill failed because the Electoral Commission could not table the bill before Parliament on time and the fact that the commission was carrying our new registration exercise which could affect new voters. The Bill failed to get the required two-thirds majority of Members of Parliament for it to be passed following a secret ballot after a lengthy debate over the issue. A total of 125 voted in favour while 95 voted against. 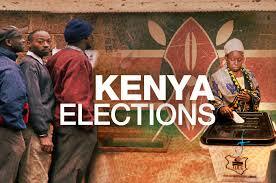 The election outcome was only announced on the 9th of December, 2 days after the election. Do you think the hacking of the electoral commission website had anything to do with it? I believe that this was a major factor which delayed the declaration of the results. The Chairperson of the electoral commission declared on national television that one major setback the commission suffered was the hacking of their website which made the figures there unreliable and their subsequent decision to wait for the manual result sheets which came from close to 29,000 polling stations nationwide in order to collate the figures. Notwithstanding this challenge, the 2016 election was praised as the best since the coming to forth of the 4th Republic in 1992.It was largely without major electoral incidences, conflict and the usual election issues of over voting and snatching of ballot boxes. Can you briefly describe President Mahama’s term as President? The presidency of John Dramani Mahama witnessed perhaps a moment of massive infrastructure development in roads, healthcare and education across major town and villages throughout Ghana. Many Ghanaians agree that sterling results have been achieved in his term in office as was clearly captured in the government “Green Book” which catalogues a summary of President Mahama’s achievements. His term was without crisis; the almost 4 years of energy crisis known as “dumsor” that hit the country, gross incompetence demonstrated by government appointees and ministers and naked corruption of the Mahama administration were unthinkable. Why do you think President Mahama lost the election after just 1 term in office? Since the inception of the current administration and its predecessor administration led by the late President Prof. John Evans Atta Mills, there have been allegations of massive corruption and abuse of power by government functionaries. Key among the cases of corruption are the payment of the about Fifty One Million Ghana Cedis (GH¢51million) judgment debt to businessman Mr Alfred Agbesi Woyome which the supreme court declared as unconstitutional and several other judgment debt payments, the branding of some government buses with about Three point Six Million Ghana Cedis (GH¢3.6million), which the government itself later admitted was indiscretion with the Chief of Staff instructing the Attorney General to recover part, also making the transport Minister Hon. Dzifa Aku Attivor haven to resign, the 2014 Brazil World Cup corruption saga, the use of the Savannah Accelerated Development Authority (SADA) program as a conduit for corruption with the program being used to siphon several millions of Cedis, the massive corruption under the Ghana Youth Employment and Entrepreneurial Development Agency (GYEEDA) and the general perception of overpricing of government projects across the country. (ii). Complacency and gross disrespect for Ghanaians. The President and his army of appointees and governments communicators were overconfidence of winning the elections and took several other key electoral victory determinants for granted. Typically, the government after having undertaken several development projects across the whole country was totally disconnected from the grassroots and its social democratic tenets on which the party was founded. Many pro-poor interventions were poorly administered with the masses of the people feeling the impact. Government appointees were largely perceived to be arrogant and hostile to its large constituents-the poor majority. The use of intemperate and foul language by government officials was the order of the day, with former President Jerry John Rawlings describing them as “Babies with sharp teeth”. “Mr. President, fellow Ghanaians it is said that we should not throw out the baby with the bath water, but what do we do when some of the babies in the tub are babies with hard teeth, biting and spewing some very horrible invectives? Should they not be lowered out with the dirty water? After all one bad nut is all it takes to spoil the taste in your mouth-JJ Rawlings, 2012. (iii). Harsh economic conditions. When Kwame Nkrumah was overthrown and there was wild jubilation on the streets of Accra, he asked, why are my people jubilating? I expect them to be sad. A good friend who was with him on their journey to Hanoid said, Mr President your people were expecting milk and you were building factories, Kotoka will provide them milk. Nkrumah said, I thought we had a future together, if I knew I would have planted milk taps in their homes. I expect this reality to dawn on President Mahama now and his government. There is no gainsaying the fact that the President Mahama-led government has undertaken several infrastructural projects-factories, schools, hospitals, major road networks, markets, stadia, airport expansions, gas processing plants, distribution of agricultural/farm inputs/equipments, etc. without a corresponding relief in the MICRO economic conditions and lives of the citizenry. The overall impact is the hardship among several Ghanaians who were unable to pay for their wards school fees, access quality and affordable medical services, pay for their utilities, pay affordable rates for fuel, pay affordable insurance for their vehicles, etc. The conditions of Ghanaians became worsened through several taxes imposed on virtually everything-from farm inputs, to financial services, insurance for vehicles, petroleum taxes, high import duties and the attempted ‘suicidal’ but abortive imposing of taxes on pensions allowances which caused a national uproar. From the average Ghanaian who owned his retail shop to big industry owners and employees of government institutions, the conditions became unbearable, hence the general feeling and desire among Ghanaians to change the current government for economic relief. (iv). 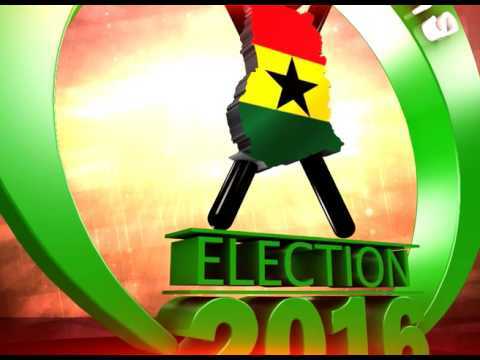 Apathy in the ruling party’s stronghold (Volta region). The ruling government’s traditional stronghold is the Volta region which has a traditionally affinity for the party due to its founder, Flt. Lt. Jerry John Rawlings who hails from that part of the country. Unfortunately, the NDC government since 1992 that it won power till it exited in 2000, and then came back in 2008 till 2008 did little in terms of developing the region. Many political watchers and commentators believe that comparatively, the NDC government has done much for other regions as compared to the Volta region. This gave birth to a growing apathy across the whole region over the years. Unfortunately, the present government turned its attention to the region rather too late and most projects started now, even though, in the estimation of most voltarians was not commensurate with the region’s loyalty to the party, had not been finished. Few months before the 2016 general elections, most youth groups, civil society organizations and powerful chiefs in the region bemoaned the lack of attention by the government to the region with others calling on their colleagues and subjects to vote out the government or not to vote at all. This accounted for why the party’s vote significantly reduced across all the constituencies in the Volta region, with the opposition New Patriotic Party (NPP) increasing its votes in the region. (v). Graduate unemployment. Unemployment among the Ghanaian youth, particularly among its graduates is on the ascendancy with the country’s second-cycle and tertiary institutions churning out thousands of graduates yearly without jobs. The freeze on public sector employment resulting from the International Monetary Fund (IMF) bail-outs programs the NDC government entered into, coupled with the above is the 3year or 4 year old power crises the country had undergone which made industry laid-off thousands of its workers, the mining, textile and manufacturing sectors, being the worst hit. Small shop and kiosk owners were not left out, as barbers, cold store owners, dressmakers and even pure water sellers also felt the impact of this decade old crises, with most shops virtually closing/folding up. 5.What are your expectations from President-elect Akufo-Addo? I expect that the factors/issues which led to the defeat of the Mahama government are not repeated or are overcome by the Akufo Addo-led government. I expect the new government to deal with all cases of corruption, institute pragmatic measures to give economic relief to the citizenry thereby creating conditions for expansions and economic growth, create sustainable jobs for the country’s high number of unemployed youth , reduce high utility and fuel prices, etc. Additionally, the Akufo Addo campaign made several promises to Ghanaians, including the promise to build one factory per constituency, build one dam in every village in the Northern region, Upper East and Upper West regions, pay One million dollars per the 275 constituencies annually, restoration of teacher and nursing trainee allowances, creation of Northern Belt Development Fund, creation of Middle Belt Development Fund, creation of Southern Belt Development Fund, establishment of Zongo Development Fund and reduction of several host of taxes. The orderly Ghanaian voter has become very critical and sophisticated and is keen on holding political parties and governments socially and financially accountable. I expect also that Ghanaians’ expectation of the new government is very high relative to their campaign promises. Some of the promises the President elect has put forward include building a dam in every village & a factory in every district. Are these realistic promises or just campaign rhetoric? I believe also that the new government whiles campaigning had not done sincere and objective situational analysis of the challenges confronting the Ghanaian vis-a-vis their solutions. For example whiles it is on record that Akufo Addo and his party boldly told Ghanaians of their resolve to build factories across the 216 districts in Ghana, a few days ahead of the election on BBC when he was interviewed, he stated that he will encourage the private sector to do so. Clearly, a private sector undertaking this initiative cannot be construed or misconstrued as being a government initiative. Additionally, to promise to build a dam in every village in the three northern regions is to know the total number of villages with their corresponding costs. Unfortunately these details were not told Ghanaians with some political watchers and economists expressing skeptical views on the reality of this promise. The restoration of allowances to teacher and nursing trainees is another area of uncertainty as the numbers of these students have grown exponentially. Posterity will judge, he can achieve something but certainly not everything he promised.